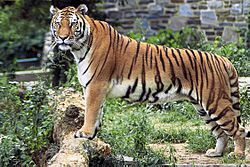 Tiger, the largest feline found in nature. 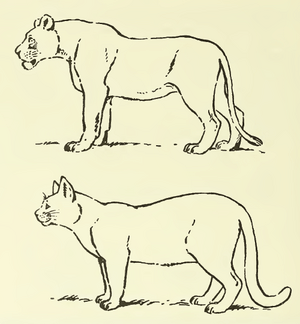 Felidae is a family of mammals, in the order Carnivora. Animals that belong to Felidae are called felids. The family is of quite recent origin: the first fossils are from the Oligocene, 25 million years ago (mya). 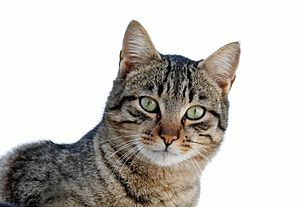 There are 41 living species, including the domestic cat, and they are monophyletic: all descended from the same ancestor. Felids tend to have lithe and flexible bodies with muscular limbs. 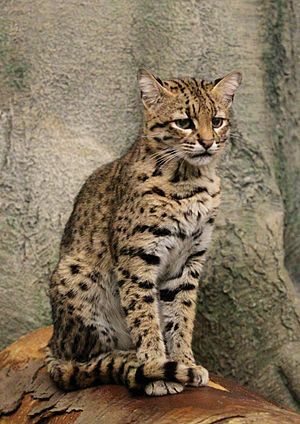 In most species, the tail is a third or a half the length of the body, with some exceptions (the bobcat and margay). The limbs are digitigrade, meaning they walk on their toes. The paws have with soft toe pads and retractible claws (usually). The tongue of felids is covered with horny papillae, which rasp meat from prey and aid in grooming. 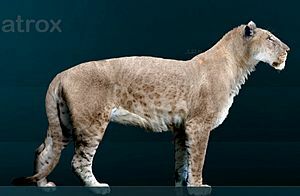 More examples of felines are the big cats – the lion, tiger, leopard, jaguar, snow leopard, clouded leopard, puma, and cheetah - and other wild cats, for example the lynx, caracal, and bobcat. 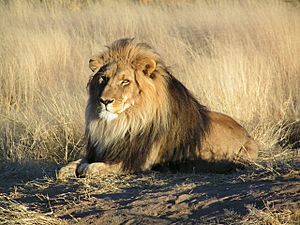 All felines, also the small pet cat, are predators that can hunt many animals. 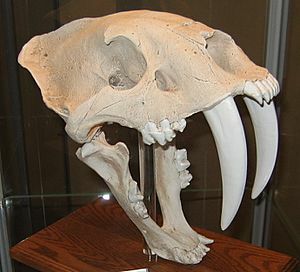 The American lion was one of the abundant Pleistocene megafauna, a wide variety of very large mammals that became extinct about 10,000 years ago. 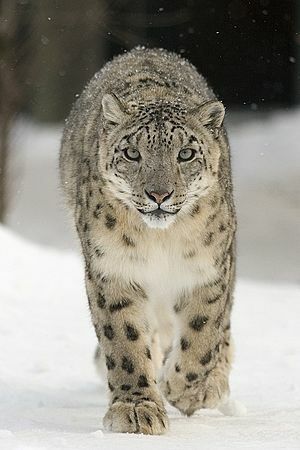 The felids evolved in Asia and spread across continents by crossing land bridges. DNA sequence analysis shows that ancient cats evolved into eight main lines. There were at least 10 migrations (in both directions) from continent to continent via the Bering land bridge and Isthmus of Panama. 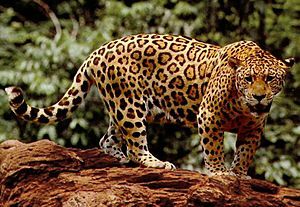 The Panthera genus is the oldest and the Felis genus is the youngest. 60 percent of the modern species of cats developed within the last million years. 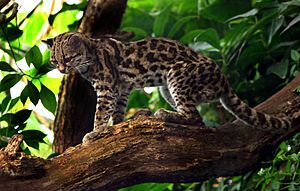 The felids' closest relatives are the linsangs, and at one remove the group of civets, hyenas, mongooses, and Madagascar carnivores, with whom they share the Suborder Feliformia. 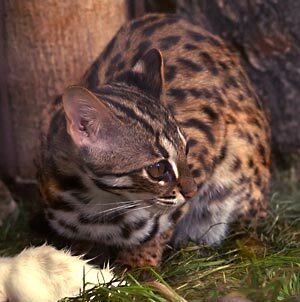 All felid species share a genetic anomaly that prevents them from tasting sweetness. The last four lineages (5, 6, 7, 8) are more related to each other than to any of the first four (1, 2, 3, 4), and so form a clade within the Felinae subfamily of family Felidae. Felidae Facts for Kids. Kiddle Encyclopedia.